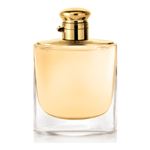 Ralph Lauren Polo Black is a modern, daring and sophisticated fragrance. Launched in 1995 it is a bold, masculine fragrance. Top notes of iced mango, Spanish sage, green evervescent accord. Middle notes of silver armoise, liquid accord and hedione. Base notes of patchouli noir, sandalwood, timber wood and Tonka beans.